Sending and collecting peer references is one of the most time-consuming credentialing tasks. 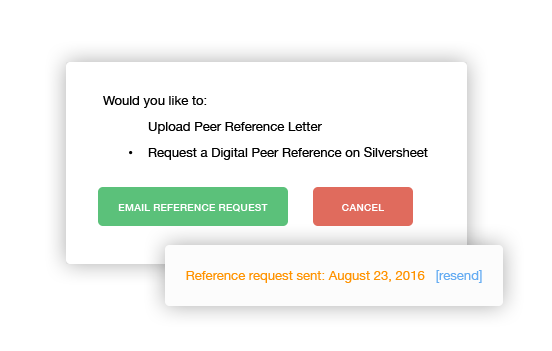 Our Peer References feature allows you to reduce delays and easily track progress by digitalizing the entire process. Customize how you want Silversheet to work for yourfacility. You can add Quality Indicators from the Peer References sectionor in Facility Settings. Reduce paperwork by using the Digital Peer Referencefeature to send and receive completed questionnaires. It’s faster andeasier than mailing out forms. Customize how you want Silversheet to work for your facility.You can add Quality Indicators from the Peer References sectionor in Facility Settings. 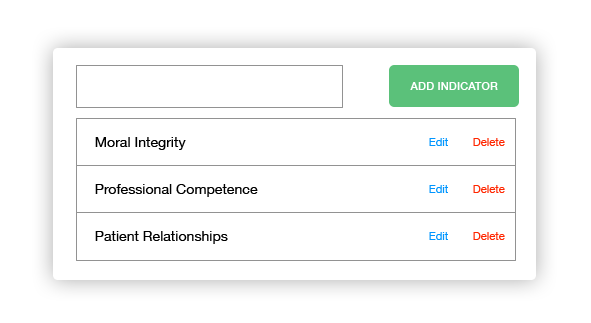 Store the contact information of the applicant’s references digitally in the Peer References section. Upload an existing document or send the Peer ReferenceQuestionnaire to a contact by email. Silversheet date-stampsyour activity so you’ll know where you stand with each reference. Silversheet will log and notify you once a questionnaire has been completed. Access the completed questionnaire in the reference’s attachment section.